So tomorrow starts the road trip to Maryland for Baltimore Comic-Con. 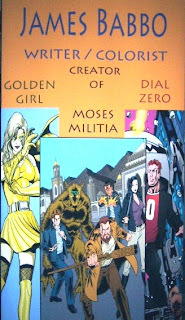 There are two purposes for this: 1) to debut the first issue of the series I and artist Bill Wylie (Secret Defenders, Web of Spider-Man, etc) have been working on for a year - THE MOSES MILITIA; and 2) to further my career as a comic book colorist. 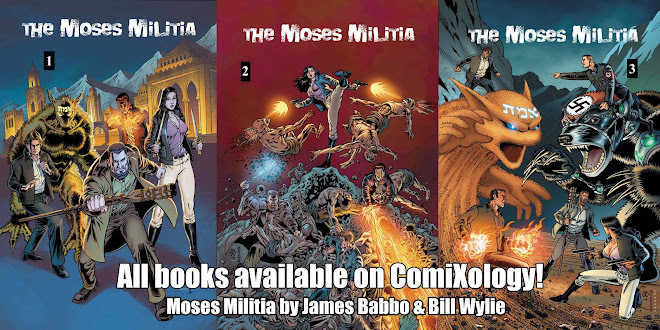 I've done work for Dynamite (WAREHOUSE 13) and Pronto Comics as well as assisting top talent (which still amazes me that I know such amazing professionals!) but this is the first time I'm manning my own table to promote my skills and work. Looking forward to giving a full report when I get back!